Shopping. Because neither man nor woman can live on hiking alone. Enjoy the view and take in some shopping at Cliff Dwellers Gifts. 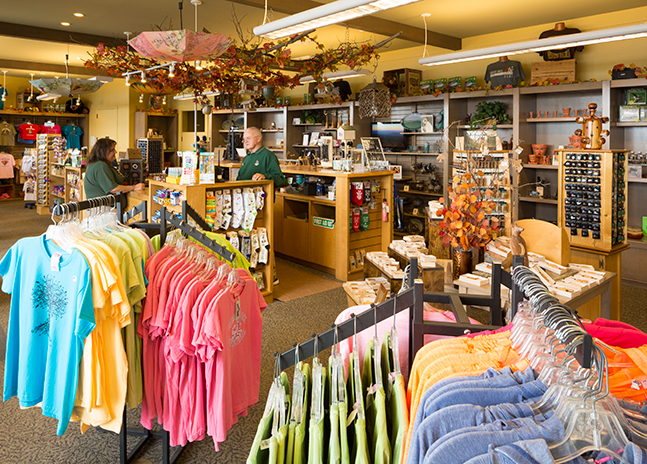 Relax, refresh and pick up a souvenir of your time at Chimney Rock in one of our two retail stores. 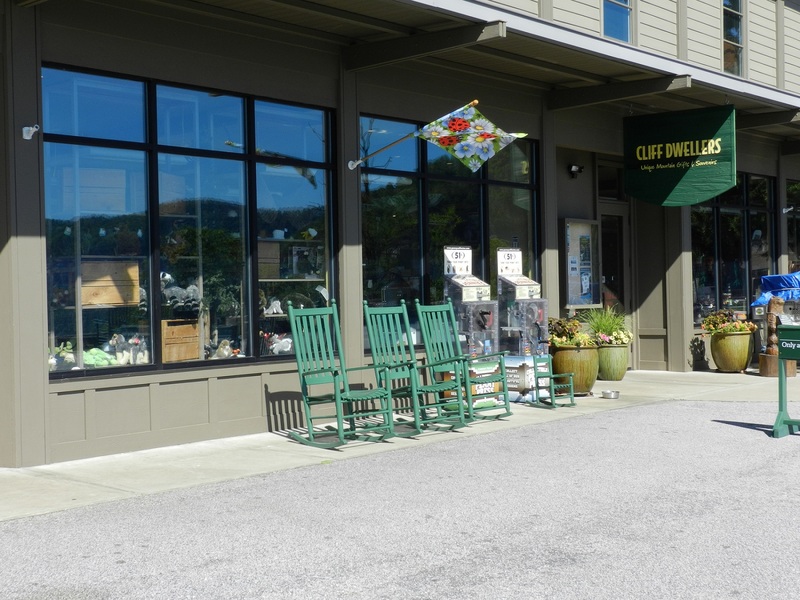 Cliff Dwellers Gifts is named after an old inn that was perched on the Chimney Rock mountainside decades ago. Today, the shop is located next to the Tunnel entrance at the top parking lot and is a convenient spot to shop for local, handcrafted artisan pieces and mementos of your visit. Come sit awhile in one of the comfy rockers out front and enjoy the vista of Hickory Nut Gorge and Lake Lure from our front porch. Sky Lounge Gift Shop & Deli is located just steps away from the top of Chimney Rock. Built in 1949 when the elevator was completed, the original Sky Lounge burned to the ground in 1981 on Labor Day weekend. Helicopters were used to transport trusses and other building supplies to the work crews at the cliff side building site, and the new Sky Lounge was ready for Park visitors by June of 1982. 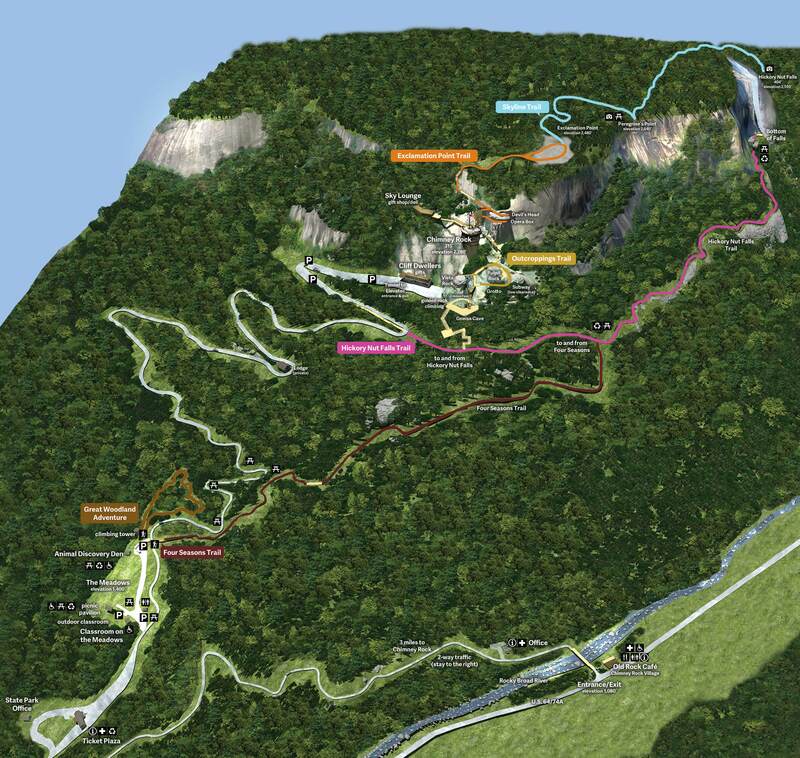 Large picture windows offer jaw-dropping views of Lake Lure, and you’re sure to find the perfect memento of your visit here. 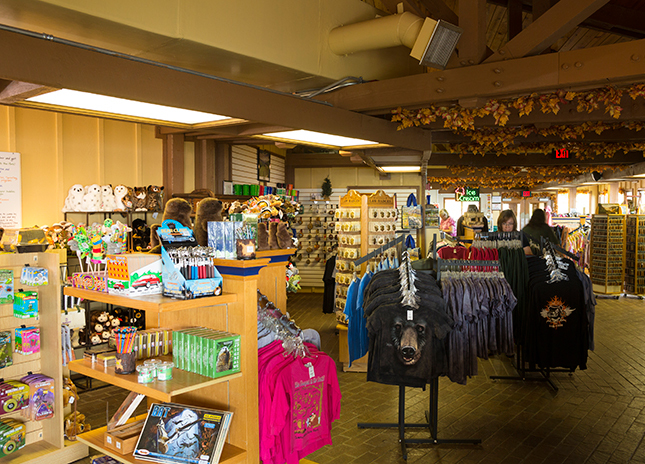 The gift shop is open year around and offers a great souvenir selection, as well as refreshing beverages and snacks; the Sky Lounge Deli is open mid-March through November. Take home a little local. We’re proud to feature the works of local artisans in our store, and we strive to offer as many products as possible that are made in America. Learn more about them below, and remember to check back as we’re always adding more. Black Mountain Studio – Austin and Maud Boleman. Austin and Maud have been creating pottery for over 25 years. Their vineware is made with two types of high-fired clay and is oven proof, dishwasher safe and microwaveable. These beautiful, handcrafted pieces will last a lifetime and are sure to become treasured family heirlooms. Sabbath-Day Woods – Desmond Suarez. Desmond’s clocks and serving boards are handcrafted one piece at a time in his Canton, NC studio. Desmond says he believes each piece “should show the natural, God-given beauty of the wood grain and the finest in design, construction and finish.” His work is influenced by the Shaker and the American Arts & Crafts movements. Crucible Glassworks – Michael Hatch. Michael is a primarily self-taught glassblower with 25 years of experimentation and refinement. His work combines the freewheeling attitude of the early American glass movement with refined Italian techniques. Each of his pieces is handcrafted from molten glass in the mountains of NC. Rose Hollow Connections – Connie Molland. A Madison County woodworker, Rose has been crafting functional yet artistic cutting boards for over a decade. Many of her cutting boards are made to look like women’s purses, adding some fun to cooking preparations! Our Family Crafts – Pat and Jack Koval. Ceramists since 1973, Pat and Jack create fun, quirky “People Pots” that will make you smile. Each high-quality piece is hand decorated and unique.